This is based on the October Afternoon blog Thursday sketch. I moved the main blocks of the sketch around instead of sticking to the layout designed. 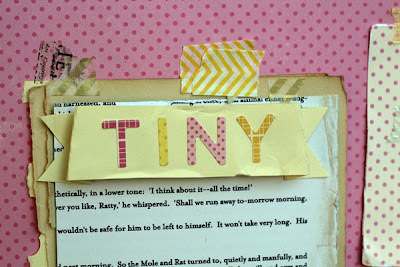 Love these cute letter stickers. 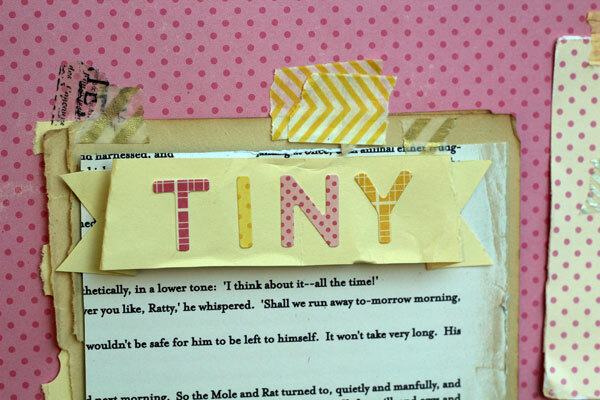 I taped some OA text patterned paper and some vintage book pages behind the title banner with a few different types of washi tape. 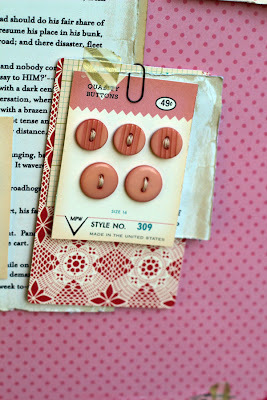 I sewed some pink buttons from the Homegrown collection to a button card from the Farmhouse 8*8 pad. 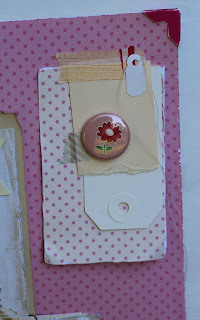 I stacked the button card up with some OA patterned paper scraps, and the backside of a Farmhouse journalling card, clipped the whole bundle together with a Tim Holtz mini paper clip and then taped the stack in place with a scrap of gold striped washi tape. I sewed two larger Homegrown buttons to another button card, and tucked it partway behind the photo. 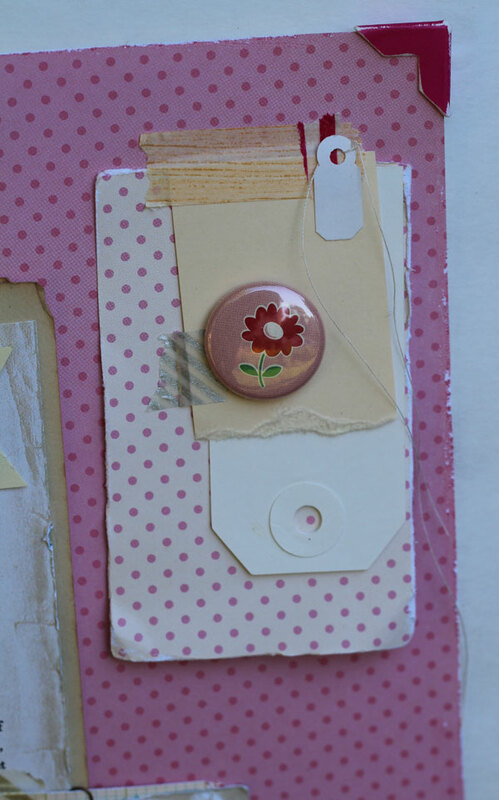 I stacked up a Sidewalks journalling card and some torn plain shipping tags, and added a Homegrown tin pin on top and again, taped the whole stack in place. Supplies: patterned paper (October Afternoon); journalling cards (October Afternoon); letter stickers (October Afternoon); label sticker (October Afternoon); buttons (October Afternoon); tin pin (October Afternoon); tags (Avery, the Paper Studio); punch (Martha Stewart); tape (Bella Blvd, Tim Holtz); photo corners (Canson); paper clip (Tim Holtz); pen (Sakura). i LOVE this layout, love all your layering of the tags, amazing.